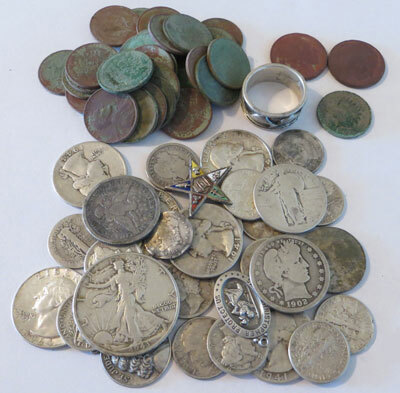 Here is a list of metal detecting tips that can help you find more old coins and other neat finds. Sites like parks, churches, and old ball fields are great places to metal detect, but many forget about the less obvious places. Virtually any grassy area that had foot traffic long ago will have old coins. Check your local city hall or historical society to see if they have an old map that shows when different parts of the city were annexed. If they don’t have one then any old map will work. I like to find maps around the 1930’s because there should be a lot of streets on it and you know they’ve all been around for a long time. If you get a map that’s too old then there will only be a few streets. Next view these areas in an aerial view on Google earth to look for grassy areas to hunt. I know this sounds cliché, but one of the most important things you can do when starting out is learn you detector. Read the manual several times and experiment with different settings. Pass various items over the coil to see how your machine reacts. Create a test garden and bury various objects to experiment with depth and signals. One of the biggest mistakes of new metal detector users is to set it to the max sensitivity and settings that were recommended by highly experienced users. It takes a long time to be able to distinguish false signals from the good when running a metal detector “hot” with high levels of sensitivity. Start out moderately and dig all the signals so you’ll start to learn the various targets. The best way to learn your machine is to get out and start digging. By being consistent and detecting often you’re practice will pay off. Eventually you’ll learn your detectors language and be able to distinguish between false signals and good targets. 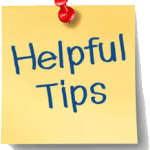 Another important metal detecting tip is to be aware of your site. Nearly every metal detecting site will be different. Some will have a lot of trash, some will have little trash. Some will have a lot of mineralization, some will have little. 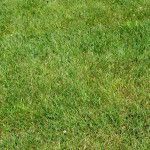 Some sites will be littered with small bits of rusty iron or even scattered with can slaw (aluminum cans chopped up by lawn mowers). All of these factors can all affect how your detector performs. 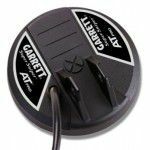 By paying attention to what’s beneath your coil you’ll start to learn how to adjust your detector for optimal performance. Even the small things like the type of grass and vegetation on the soil can tell you a lot about a site. Being able to recognize when the ground has been excavated can help save you a lot of wasted time. Pay attention to your surroundings while detecting and you’ll eventually be able to recognize productive sites quickly and adjust your settings for the best performance. Using a small coil in trashy areas can give you a great advantage over others. Smaller coils are able to get in between junk targets and sniff out the good stuff. A lot of detectorists will visit a trashy site and leave quickly because it’s such a challenge. You can take advantage of this with a small coil and some patience. Visit the library or local historical society. 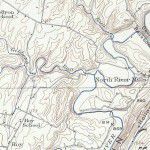 Research old maps, read newspapers, and learn the local history to discover new places. Seek out older townsfolk who have lived in your area all their lives. Chances are they will have some interesting stories that can turn out to be great places to detect. Don’t forget the grassy areas around lakes and swimming holes. Long ago people used to swim at local rivers and creeks and hang out at the lake. The grassy areas and the water at these places can offer old coins and other lost items. While driving by an old golf course one day I noticed they had removed a strip to lay down new sod. 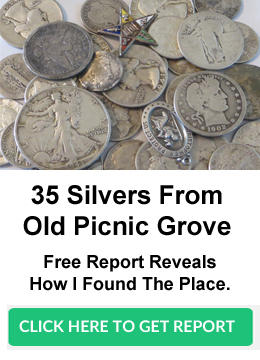 I quickly got permission and over the next two days my Dad and I pulled out 18 silver coins from that site including a seated dime. 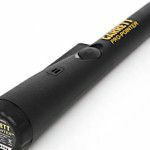 A pinpointer will save you a lot of time when looking for targets. If you’re able to dig 200 holes in a day instead of 100 you should find twice as many good targets. Tip #10 The most important tip! This is one of the most important metal detecting tips to remember. If I named this tip “keep a positive attitude” you probably wouldn’t read it =) The way I keep positive after having bad days is to think of it this way. According to the statistics I will find a silver coin if I keep detecting. Each coin I dig or wheat penny I dig is one step closer to reaching the inevitable which is to find my silver. There will be days when you think your machine is broken. Just test it on a coin and keep detecting =) You’ll come to realize that what you’re really looking for is wheat pennies. If you’re finding wheaties you’ll find silver soon after. Good luck and happy hunting! If you’re interested in a advanced metal detecting tips and secrets you should check out our metal detecting secrets training course.